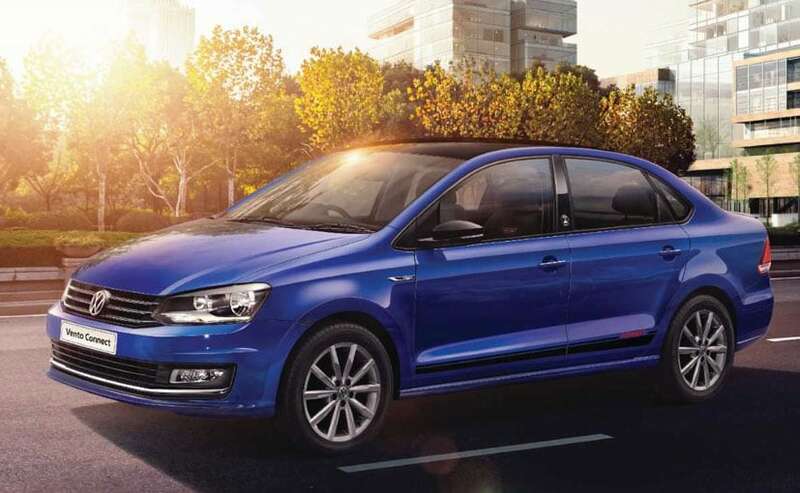 The updated 2019 Volkswagen Vento is likely to come with considerable cosmetic updates and possible a few updated features as well. 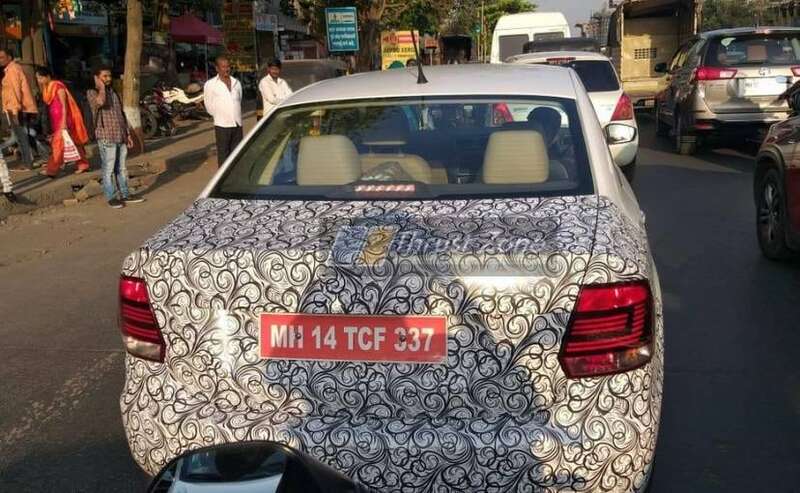 Images of the updated Volkswagen Vento have again surfaced online, and this time around we get a much closer look at the car. However, we only get to the rear section of the car in the latest spy photo, but the partial camouflage indicates that the cosmetic changes made to the car will be limited. The LED taillamps are similar to the existing model, however, the cluster design has been revised, and the car is also likely to get redesigned boot lid and rear bumper. The Volkswagen Vento last received a facelift in 2015, and since then the German carmaker has only introduced a few special edition models of the car, along with adding a new top-end variant as well. Now, the car is in much dire need for a generation upgrade, and Volkswagen is working on that, but the new-gen Vento is scheduled to arrive in 2021 which will be developed on the Indianised version of the MQB A0 platform. And this 2019 Vento facelift is being introduced just to keep things interesting until the new-gen model is launched. 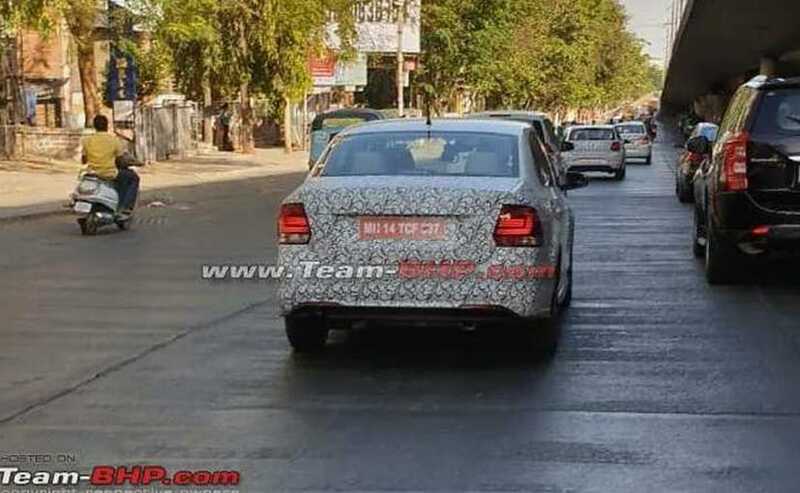 While we do not get to see the car's face in these images, the updated 2019 Volkswagen Vento is also likely to come with a new front section as well. Considering this will be just a minor facelift, we do expect to see a revised grille, headlamps and front bumper. Similarly, the cabin too is expected to come with minimal changes like some minor visual tweaks and few updated features. Mechanically, the 2019 Volkswagen Vento will remain unchanged, featuring the same 1.2-litre, four-cylinder turbocharged engine which puts out 105 bhp and 175 Nm of peak torque, a 1.6-litre, four-cylinder petrol engine which develops 103 bhp and 153 Nm of peak torque and a 1.5-litre, four-cylinder diesel unit which churns out 108 bhp and 250 Nm of peak torque.